IMPACT Wrestling, a subsidiary of Anthem Sports & Entertainment Corp., announced today that it will bring two superstars from Mexico-based Lucha Libre AAA (AAA for short) to participate in Slammiversary 15 on July 2, a live pay-per-view filmed on the backlot at Universal Studios Florida. AAA stars El Hijo del Fantasma and Drago will team up at Slammiversary in a 4-way match for the IMPACT Wrestling Tag-Team Championship, now held by the Latin American Xchange (LAX). The match will also feature talent from two other international promotions. El Hijo del Fantasma (Spanish for Son of the Ghost) is a second-generation wrestler who has been wrestling since 2000, following the wrestling boots of his father, El Fantasma. Drago, who has been wrestling professionally since 1998, has won multiple tag-team championships and is regarded as one of the most colorful, charismatic and creative wrestlers ever. 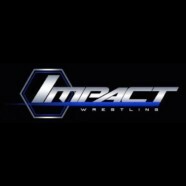 In March 2017, IMPACT Wrestling announced a landmark alliance with AAA, including a talent exchange between the organizations and other opportunities to collaborate in their respective markets. The high-flying lucha libre style synonymous with AAA events was an early influencer of IMPACT Wrestling’s X-Division, which has produced some of the most memorable matches in professional wrestling history. TripleMania XXV is scheduled for August 26 in Mexico City, highlighted by Psycho Clown against Dr. Wagner Jr., in a mask vs. mask match. Several IMPACT Wrestling stars will also appear on TripleMania XXV, Jarrett confirmed.